Sydnee (front-center) just one of several cute mice! The Queen of Hearts was amazing too! Sydnee (second from right in yellow). See Alice? Beautiful! This is pretty cool...I used almost everything from this month's Studio Calico kits...even down to the box that it came in :) The pages are stripped cardboard that I've distressed with ink. 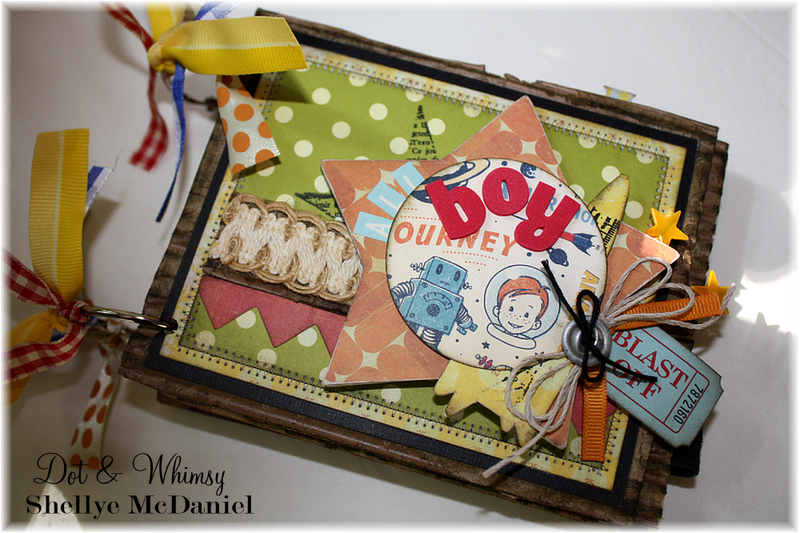 Papers: October Afternoon's ROCKET AGE and Crate Paper's TOY BOX, as well as the various embellishments. Maya Road: star stick pins and star chipboard. CTMH: Jute. American Crafts: Thicker Letters.